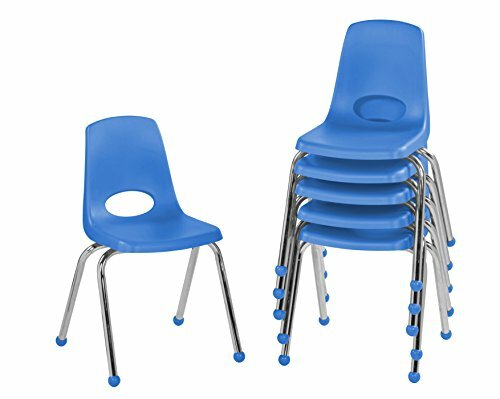 ELR-0195-BL Seat Color: Blue, Glide: Ball Glide Features: -Stack chair.-Material: Plastic.-Composite ball glides.-Reinforced ribbing in back and under seat for strength.-Protection on hard floors and carpet or standard glides. Construction: -Leg construction: Steel. Color/Finish: -Leg finish: Chrome. Dimensions: -Overall dimensions: 27.75" H x 18" W x 18" D, 6 lbs. Warranty: -Manufacturer provides 10 years limited warranty.